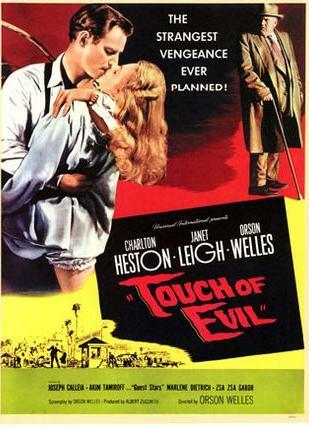 Touch of Evil is a film we’ve been meaning to watch for ages and, thankfully, it didn’t disappoint. Orson Welles puts in an astonishing turn as the corpulent, corrupt cop Hank Quinlan, and the film is also notable for featuring Charlton Heston as the least-convincing Mexican ever (but at least he didn’t try to do a Mexican accent, thank god). Apparently, in the original script Heston’s character was going to be American and his wife, played by Janet Leigh, was going to be Mexican, but Welles swapped the nationalities around when he rewrote the script. Perhaps he just wanted to see what Charlton would look like with bootpolish black hair and a baggy suit. Janet Leigh is fantastic as the fearless (on the exterior at least) wife of Heston’s character, and there’s a great scene near the beginning where she stands up to some nefarious gangster sorts. As the film progresses though, little by little we see her fear creep through, and there’s a palpable feeling of unease as the danger surrounding her character grows over the course of the movie. 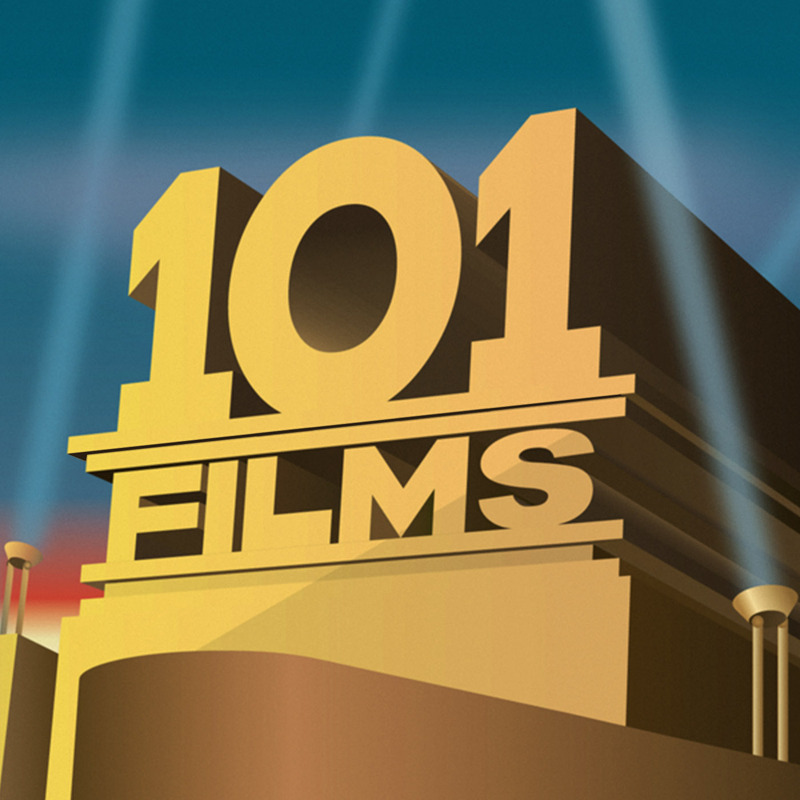 It seems we’ve obviously got a fondness for film noir, as we’ve already featured several, both new and old, in our rundown of 101 Films, and taking a glance at the films we’ve got on our ‘to do’ list, there are plenty more to come. Here’s to looking on the bleak side of life. Oh, and there’s one more thing I should mention: Charlton Heston plays a narcotics officer, not a district attorney as we say in the podcast. Fun fact: Ian originally said he was a narcotics officer, but I insisted that he was ‘actually a district attorney don’cha know’, and we actually re-recorded that bit to ‘get it right’. Whoops, sorry Ian!